Avora Port Imperial Kitchen Installation in Weehawken, NJ was a big project that we were part of. These are newly built luxury waterfront condominiums, one of the newest and most sophisticated residential collections in this part of the U.S. Aqua Kitchen and Bath Design Center is proud to have been trusted to equip 175 kitchens in Avora Living Port Imperial with luxurious quartz countertops. 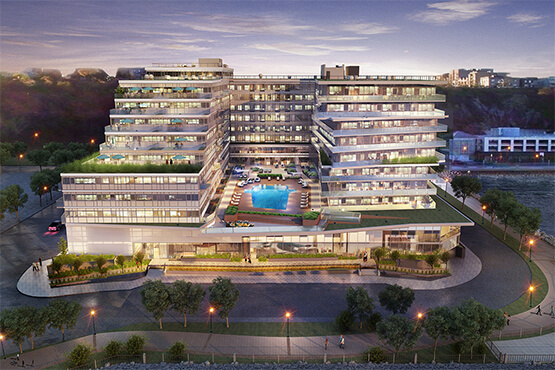 Avora Living Port Imperial Weehawken NJ was built to provide an unparalleled level of convenience for the people who will be living in it, thanks to breathtaking beauty, superb quality, high-class style, and a LEED certified standard. Renewable energy technologies and progressive sustainable practices are just one of many qualities that will make people living in Avora Living Port condominiums pleasant, easy, and sustainable. Affluent neighborhood of Weehawken NJ, its beautiful natural sights, waterfront walking trails, parks, and exquisite restaurants, encompass a contemporary style of these beautiful condominiums. These Port Imperial’s condominiums are only a few steps away from the Port Imperial Ferry and Port Imperial Light Rail station. This means that commuting from Avora Living Port Imperial to the city couldn’t be easier. Urban residential living in Weehawken NJ offers the best of both worlds – people living there are close to the city but they still get to enjoy spectacular, open views of the river and the city skyline, while also being able to use mile-long waterfront path. For people living in Avora, the waterfront will be just outside their door. From a lobby with concierge service, an exclusive bar, and catering kitchen, to a private screening theater, an elegant boardroom, and a private dining room for entertaining, Avora has produced one of the most orchestrated designs for its residents. Outdoors are also stunning. Lounges, a pool, a viewing park, a barbeque outdoor dining area, sundeck, and a firepit, all overlooking an astonishing Manhattan skyline are ready for the new residents. People who will be living here will use a bike storage and a secure garage parking for their cars. Pets are welcome! There is an on-site pet grooming place. All rooms in Avora Living Port Condominiums are contemporary and functional, designed to feature sleek lines and modern style. Aqua Kitchen and Bath Design Center Team is proud, honored and happy for a chance to contribute to this magnificent project that will upgrade a lifestyle of many people; to be precise, for 175 families. We have completed numerous big and small residential and commercial projects all across NJ state and neighboring states. Conveniently located in Wayne NJ, it is easy for us to come to your place, measure everything, do the fabrication in our facility and install the countertop at your home or office one week after templating is done. We take pleasure in upgrading kitchens with the most exquisite granite and quartz countertop slabs. Assisting our customers in choosing the right patterns, colors, and materials for their kitchen countertops and installing them perfectly is a business we are successfully doing for more than a decade. Small projects are a breeze for our team but years of experience in this business made us also a perfect partner for big projects. Avora Living Port Imperial Condominiums in Weehawken NJ was a perfect opportunity for us to contribute to another amazing residential project. Marble finishes are perfect for lavish kitchens. 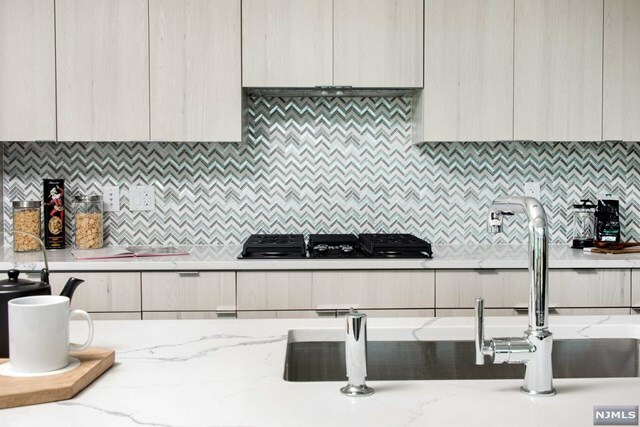 This is why Caesarstone Calacatta Nuvo, an interpretation of natural Calacatta marble, was an ideal countertop material for Avora condominiums kitchens. 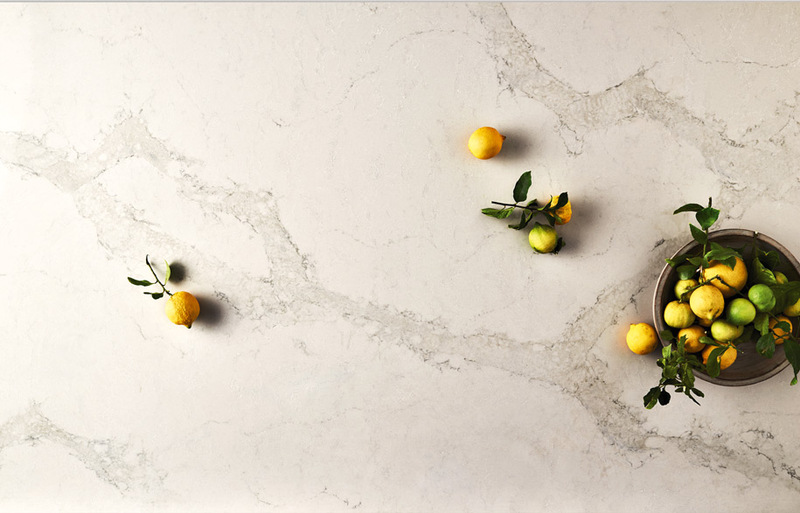 Caesarstone Calacatta Nuvo features extraordinary, elegant, cascading veins and a white stone base. This luxurious stone will leave an unforgettable impression on anyone who enters the kitchen. For people living with it, Calacatta Nuvo Quartz will provide exceptional durability and ease of maintenance. All kitchens in Avora condominiums feature professional grade stainless steel appliances. 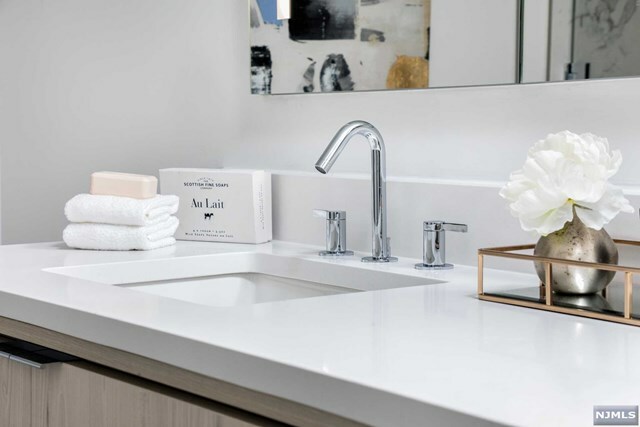 Quartz is one of the best countertop materials to pair them with. 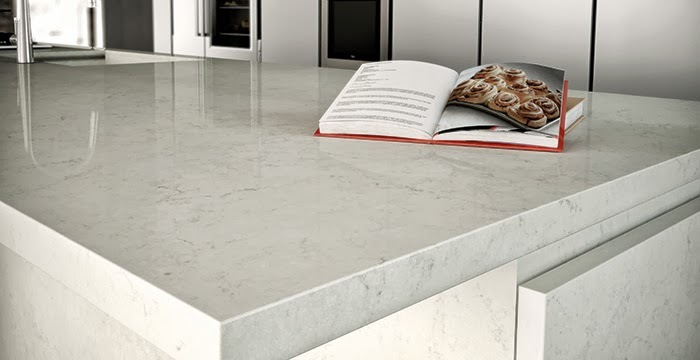 Specifically, Blizzard Caesarstone Quartz was a perfect solution. This is the stone that gives a kitchen space a polished and fresh look and guarantees that new residents will love it. Avora Imperial chose this practical, everyday surface with timeless beauty to provide the best experience for Avora Port Imperial Kitchen Installation. 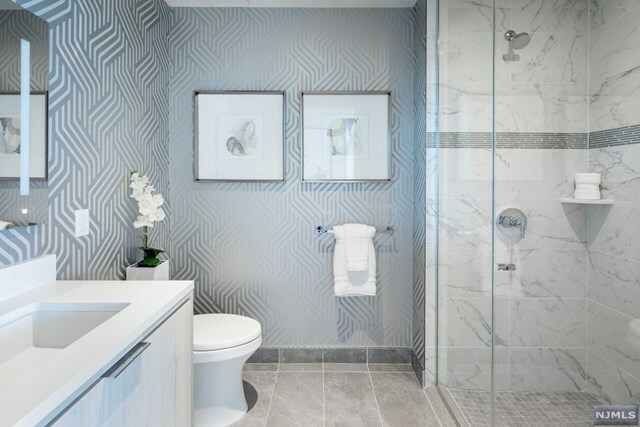 Superior durability with incredible strength, engineered for easy care, will require minimum maintenance from the residents of Avora Imperial condominiums in Weehawken, NJ. London Grey Caesarstone Quartz is another fabulous color that Avora Imperial chose for their amazing kitchens. With its translucent surface and eloquent opaque light grey that merges with soft charcoal veins, London Grey Quartz presented an elegant and luxurious solution. 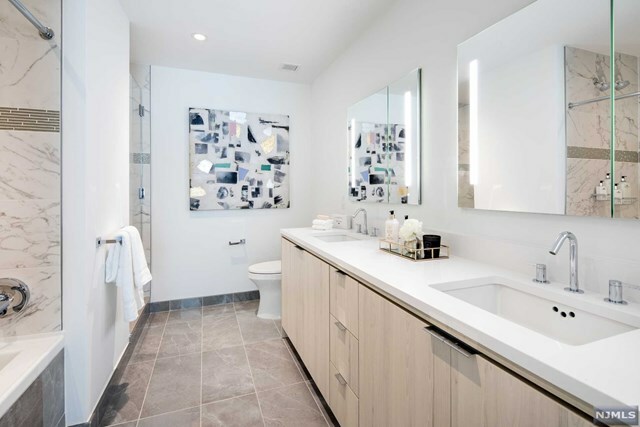 A safe choice for various kitchen styles and colors, scratch resistant, non-porous, and highly resistant to stains, London Grey Caesarstone will certainly make new Weehawken NJ Avora condominium residents deeply satisfied. With quartz countertops, life is easier and more beautiful. Aqua Kitchen and Bath Design Center also carries products by MSI, another company that offers amazing quartz slabs. Avora Living Port Imperial chose this simple yet stunning quartz stone for some of 175 kitchens we equipped! Statuary Classique Quartz is durable, elegant and requires no maintenance. Marble look will satisfy sophisticated tastes while incredible durability will be ideal for busy family kitchens. The soothing white background and delicate veins make Statuary Classique Quartz one of the most desirable countertop options in modern kitchens. It is no wonder we installed it in such luxurious apartment kitchens! To be sure that its residents will absolutely fall in love with their new kitchens, Avora Living Port Imperial opted for MSI Calacatta Clasique stone as one of the materials for their kitchen counters. Exquisite and beautifully unique, Calacatta Classique Quartz stuns with its clean whites and impressive through-body veining. 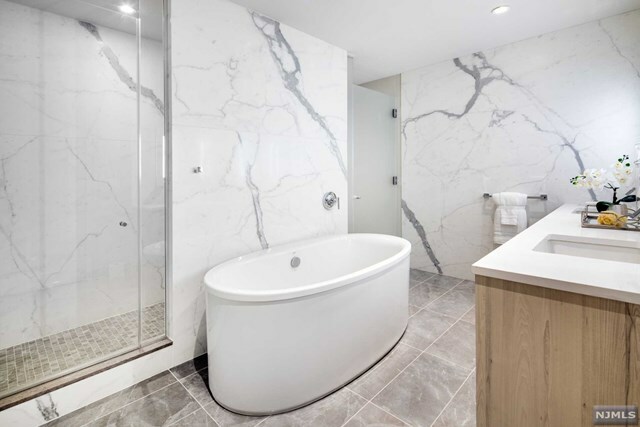 This lovely quartz, perfect for residential environments, will not let down Avora Port residents in Weehawken NJ. We are proud how we managed a big project such as Avora Port Imperial Kitchen Installation in Weehawken NJ. You can see how we deliver beautiful quartz countertops for 175 luxurious kitchens in our videos. Our experienced and skillful team delivered, handled, and installed all the products with caution and care. 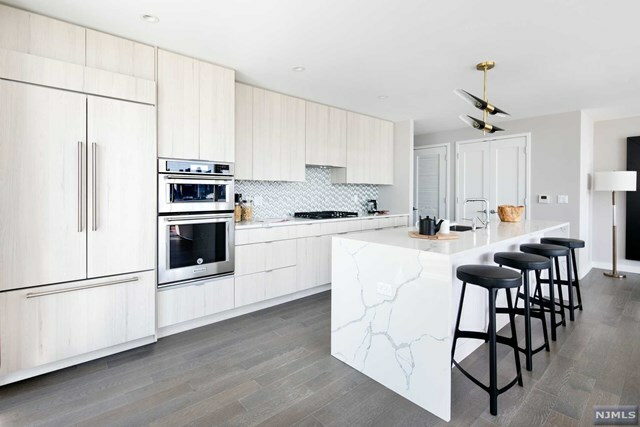 Knowing how countertops are a vital element in any kitchen, we are happy to be a part of the neighboring Avora Living Port Imperial in Weehawken NJ. Whether you are planning a big or a small residential or commercial renovation project, make sure to consider Aqua Kitchen and Bath Design Center located in Wayne NJ for your kitchen countertop or kitchen cabinet needs. We will help you choose and decide between various granite and quartz countertops, and some of the best and cost effective kitchen cabinets. Our crew will do all the measurements, fabrication, and installation. Conveniently located in Wayne, NJ, we easily serve all parts of the NJ state, such as Paterson, Clifton, Pomona, Wanaque, Pompton Lakes, Ringwood, Bloomingdale, and other, as well as the neighboring states.